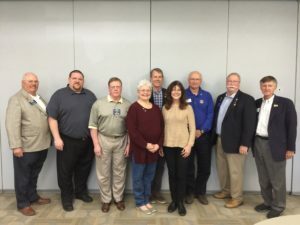 With 26 Rotarians from 14 clubs in 4 different districts in attendance, our April 20th District 7690 Rotary Leadership Institute in Thomasville, NC was one of the most successful in recent memory. We had 9 Rotarians in Part I; 10 Rotarians in Part II; and graduated 7 Rotarians in Part III. The Rotarians were engaged and the faculty did a great job of facilitating some lively and informative discussion. The staff at Davidson County Community College was very accommodating and the caterers from the campus Storm Cellar did a great job serving a continental breakfast, morning coffee and pastries, a hot lunch, and afternoon soft drinks and snacks. Participants in Parts 1 and II were encouraged to continue their RLI journey at our next Rotary Leadership Institute in Pinehurst on May 24th 2018 immediately prior to our D7690 District Conference. 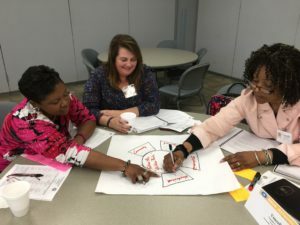 The graduates were encouraged to attend the faculty training this July and at least 2 of the 7 graduates indicated a desire to become RLI faculty.